For more details on accommodation and meals, please turn to our Accommodation page. Getting to Sofia. Click to enlarge. 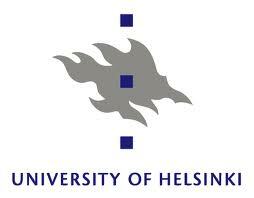 Sofia is in Vuosaari only 20 minutes away by car from the centre of Helsinki and Helsinki Vantaa airport. Regular bus and metro routes operate between city centre and Vuosaari. The length of journey is about 20 minutes from the city centre to Vuosaari by metro. The bus J98 goes from Vuosaari metro station to Sofia's own bus stop. The service runs on weekdays once an hour during office hours (please ask for a detailed timetable from the reception). 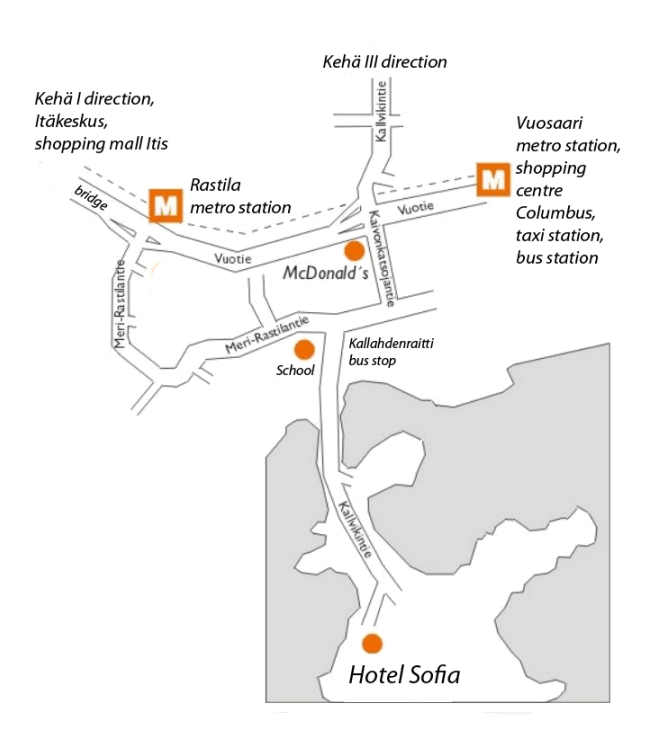 In the evenings and on weekends you can take the bus 96 from Vuosaari metro station to the Kallahdenraitti bus stop, which is about 1,2 km from Sofia. Taxi service from the metro station to Sofia.